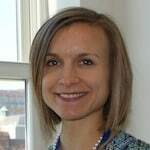 Rose Weeks (Reis) is director of communications at the Johns Hopkins Center for American Indian Health, which is based at the Johns Hopkins Bloomberg School of Public Health, with satellite offices on tribal lands throughout the Southwest. As a faculty member in the Bloomberg School’s International Health department, she also works through the ROTA Council to accelerate the introduction of rotavirus vaccines in low- and middle-income countries. Previously, Rose served as a communications officer at the Results for Development Institute, focusing on the Center for Health Market Innovations, and writing about programs improving the quality and affordability of healthcare for the poor in developing countries. Before joining Results for Development, Rose worked at the International Vaccine Access Center at the Johns Hopkins Bloomberg School of Public Health, developing and executing communication campaigns focused on accelerating the adoption of policies to fight childhood pneumonia and the take-up of new vaccines in low- and middle-income countries. Prior to this, Rose was a research editor in New York City. A graduate of Vassar College, Rose earned a master’s degree in public health from the Johns Hopkins Bloomberg School of Public Health. Diarrhea – which is quite treatable – still kills 1,000 per day, and children in low- and middle-income countries continue to experience about three episodes of diarrhea each year. Repeated cases of severe diarrhea, especially during important development stages in a child’s life, can have a lasting impact on physical and cognitive growth. Nigerian business leaders have made a $24 million commitment, through the Private Sector Healthcare Alliance of Nigeria, to focus on maternal and child mortality reductions for the Saving One Million Lives initiative. Merck for Mothers Executive Director Dr. Priya Agrawal explains why her organization is investing $3 million in the scale-up of MerryGold Health Network: "Because India has more maternal deaths than any country in the world." In India, trained doctors face stiff competition from informal providers, whose services are affordable and popular despite their lack of qualifications. But in Mumbai, Swasth Health Centers is out-competing the quacks, using technology and management savvy to offer superior services at surprisingly low prices. CHMI’s Rose Reis visited them to see how they’re doing it. Jeevanti aspires to create a chain of 25 50-bed, secondary-care, multi-specialty hospitals in small, underserved cities in Maharashtra and Gujarat. The two existing hospitals currently offer gynecology and obstetrics, pediatrics, general medicine and surgery, and served 30,000 people between March 2012 and July 2013. Brazil has a strong public health care system, but it’s plagued by overcrowding and out-dated equipment. And though it provides virtually universal access to primary care, it has lagged at delivering specialized care. Projeto CIES was founded to deliver prompt, privately-run specialty care in collaboration with the public sector, through mobile clinics. CHMI’s Rose Reis talks with Dr. Roberto Kikawa, the physician who started the initiative. When Afghanistan is in the news, it’s not generally because of health care. But alongside the country’s political turmoil, its health care system has been undergoing a transformation of its own. Departing from its long-standing distrust of for-profit health care, the Afghan government is now seeking to engage with the private sector. CHMI’s Rose Reis interviews Dr. Omarzaman Sayedi of Futures Group about the country’s transition to a free-market health system. There’s a growing awareness of the importance of informal medical providers in BoP communities. But health care advocates and policy makers are often reluctant to acknowledge and legitimize them. Underlying this reluctance is a lack of data about the informal sector’s size, utilization and quality. Rose Reis of CHMI talks with May Sudhinaraset, lead author of a recent study that summarizes research on this often-overlooked sector around the world.